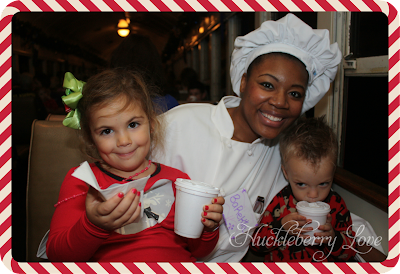 I posted a few weeks back about the exciting opportunity we had to board the Polar Express at the Texas State Rail Road. So I thought that I'd share with you guys a few moments and just how much my family enjoyed it! 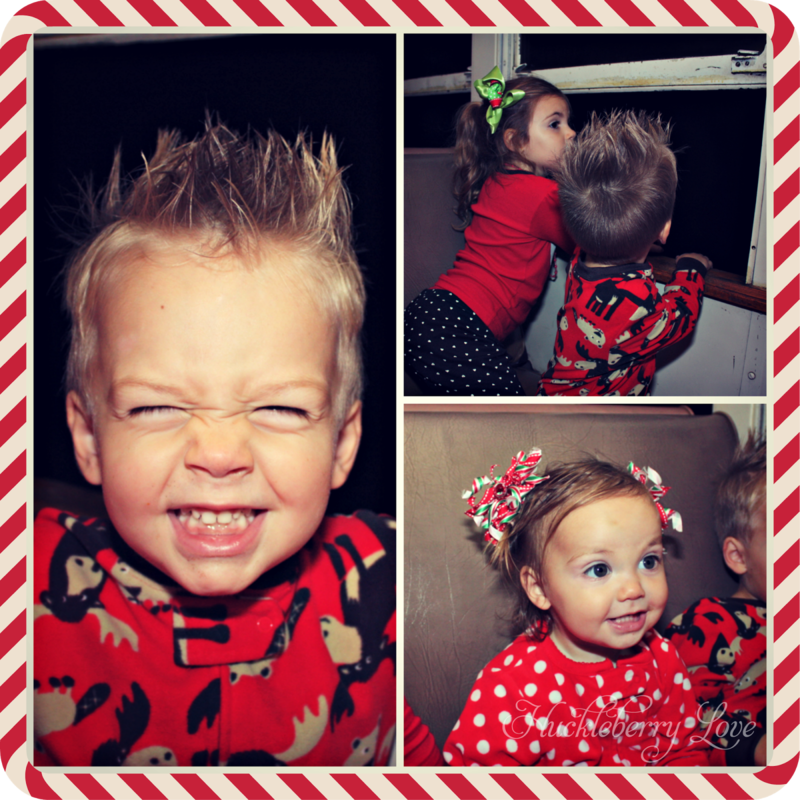 Let me just say that as soon as I mentioned the words train ride, my kids went nuts. My son's nursery was decorated in trains and now his big boy room has carried on the theme too. So let's just say that he loves them. He can even tell you the difference between a steam engine and a modern high speed train. 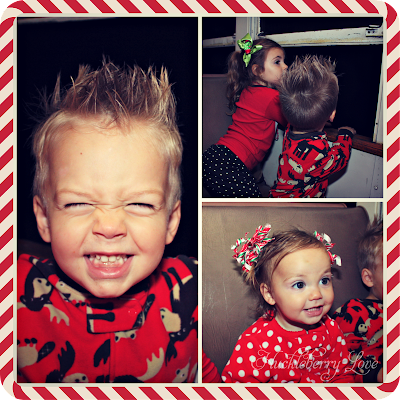 So when the opportunity arose, I was so excited to tell the kids about it, especially my little train conductor. 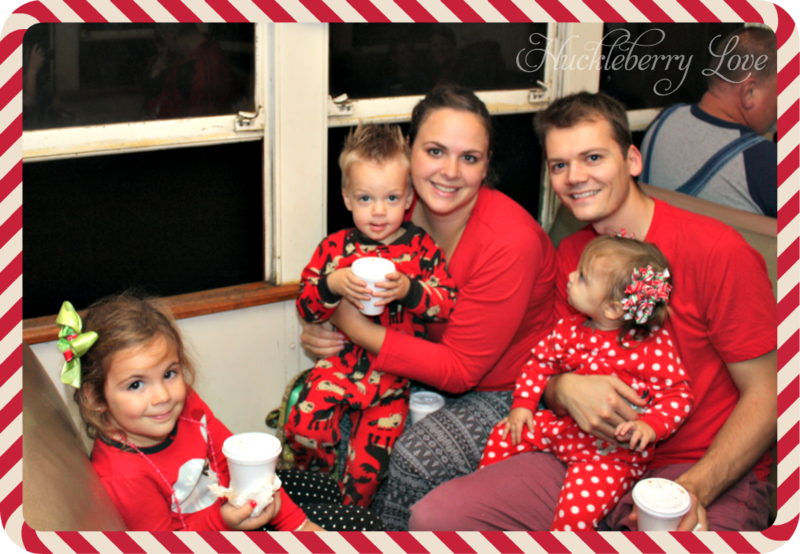 Leading up to the ride, we watched the movie, read the book, and did some fun train activities (snack trains, and coloring trains). Even my 18 month old was playing choo choo with big brother and sister. So fun! We left super early, so that we could get our tickets and a great seat. 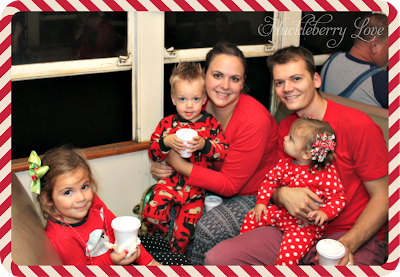 After the kids explored and we snapped a few pictures, we boarded the Polar Express train. Once settled, we were served hot chocolate and cookies by singing and dancing chefs. It was almost like a musical theatre train, but totally geared towards Christmas and kids. Just as in the book, the North Pole started with twinkling lights in the distance. The little town was super cute and just so happened to be on the side of the train that we were sitting. 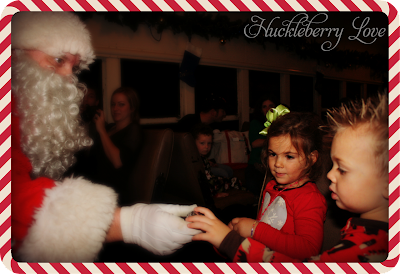 Santa and his Elves waved to the kids as we passed, and then climbed aboard and gave everyone a silver bell. And for the first year in our family, everyone actually liked Santa. I'm not sure if little miss E liked him because he gave her something shiny that jingled, or just because brother and sister did, because she is definitely at peak scream-if-santa-gets-too-close age. 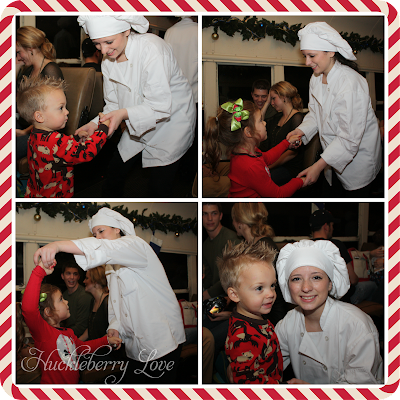 I'll just consider myself lucky and hope for the same results at Cookies with Santa! They were feeling a jam session back at the station. 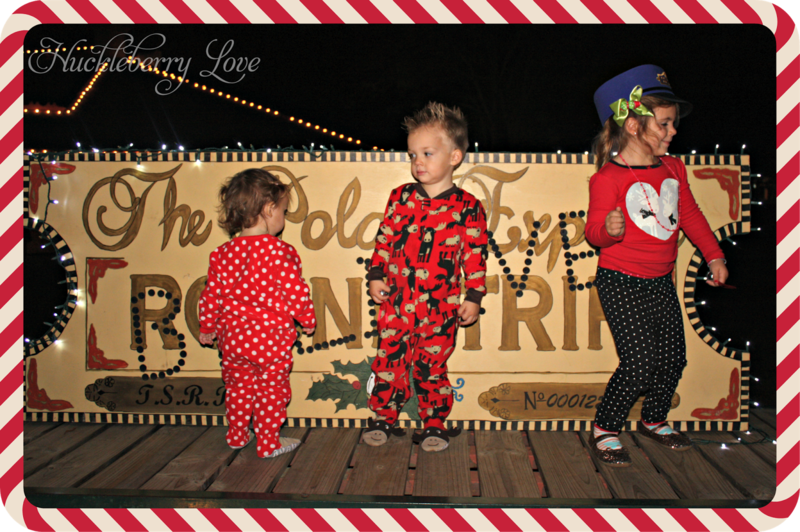 Do you have any Christmas traditions that you and your kids absolutely love?